Because it is very difficult and dangerous, never land on the dock with the current; instead, approach the dock against the current. 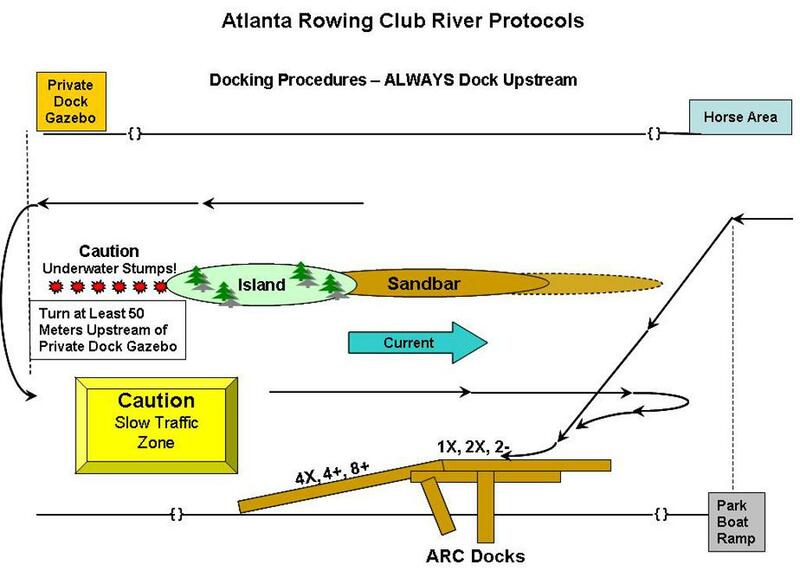 Since you will be rowing in the wrong, that is the downstream, rowing channel when you’re docking that way, use extreme caution and cross the river as close to the dock, that is as far upstream, as possible – do not row in front of the park – see diagrams below. It is the responsibility of all crew members to pay attention to the boat’s position with respect to the dock when approaching the dock to land. Do not rely exclusively on your coxswain, too many boats have been run up on the dock that way. 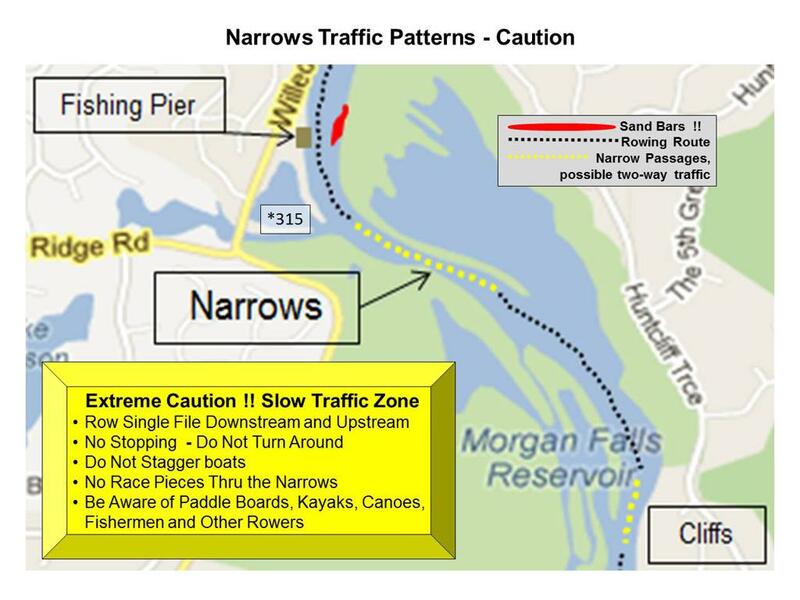 Since our docks are located in the downstream rowing channel, and since the growing sandbars and the low water level are making this channel very narrow, please launch with your shell pointing downstream. 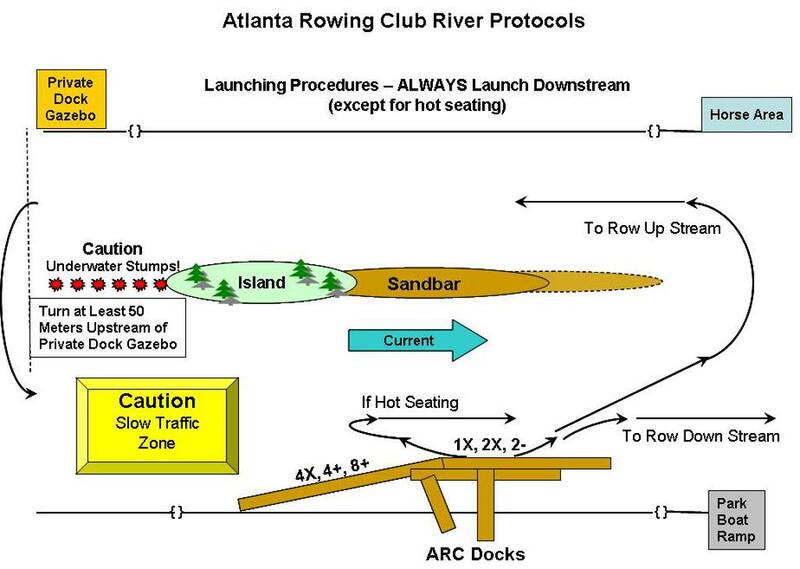 If you want to row upstream, row downstream first, then round the sandbar to row upstream on the other (south) side of the island – see diagrams below. 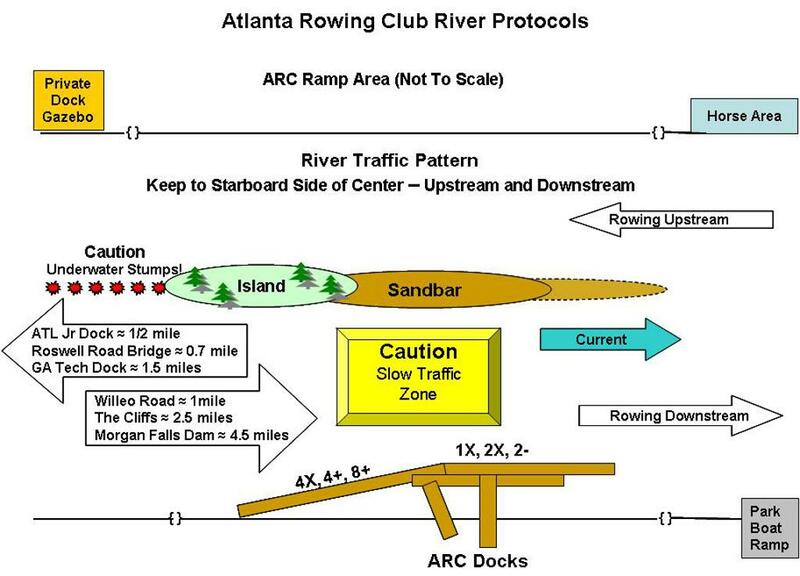 ©2019 Atlanta Rowing Club, Inc. / SportsEngine. All Rights Reserved.